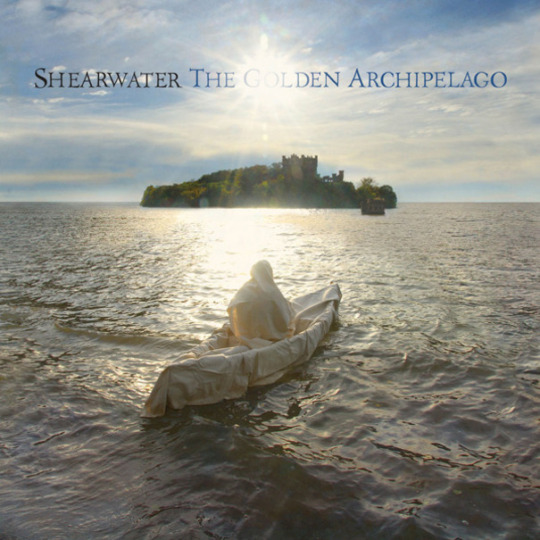 The Golden Archipelago is the third album in a triptych of mindblowingly beautiful, dense and ambitious excursions about man’s impact on the natural world from Austin’s SHEARWATER. This time singer/songwriter Jonathan Meiburg turns his attention to life on islands – a world of lushness and austerity, silence and sudden cataclysms. From rising sea levels to displaced populations, Meiburg travels from the Falklands to Madgascar, from the Bikini Atoll to the Tierra Del Fuego. The music matches the grandeur and melancholy of its subject matter. This is an ALBUM album, in the larger sense of the word. Meiburg’s soaring vocals and complex song structures recall opuses like Kate Bush’s “Hounds Of Love,” Hüsker Dü’s “Zen Arcade” and even classic Pink Floyd. Meiburg’s grandfather’s WWII experiences as a radiooperator in the South Pacific help weave these times and places together with feelings of wonder, grief, and defiance.